It has been proven from experience that by acting upon these three sunnats, which are very easy as far as amal is concerned, but are very important in this respect, that by acting upon them, one shall witness the blessings that will be achieved. Also, a desire to act upon the sunnah will enter ones heart and it will become easy to practice upon the entire sunnah inshAllah! 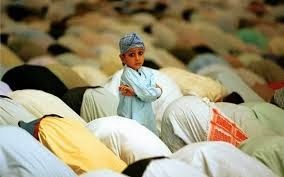 Endeavour to learn and practice upon these sunnats and teach your children InshAllah.